← Tervetuloa osastollemme E 550 Konepaja 2018 -messuilla! XYZ Machine Tools, represented by its distributor Makrum, is taking The Engineering Works (Konepaja) Trade Fair at the Tampere Exhibition and Sports Centre in Finland by storm, with visitors flocking to the stand for demonstrations of the ProtoTRAK control system. 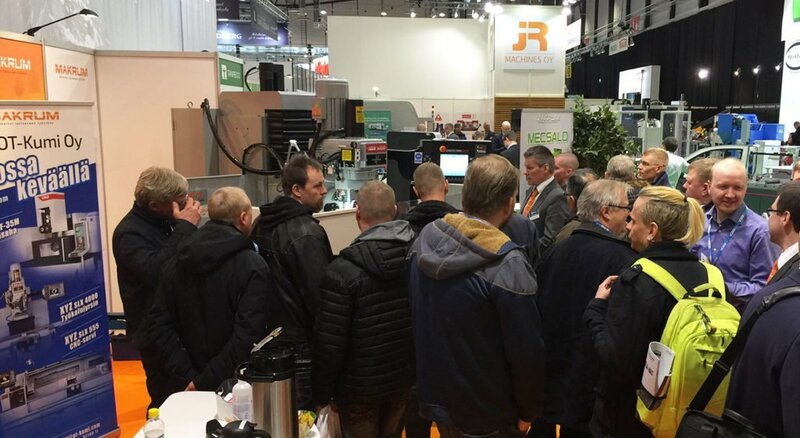 The bi-annual exhibition is proving to be a major success for the machine tool industry in Finland, which has not had a focal point for more than ten years, with visitors eager to see what is available, nowhere more so than at the Makrum stand.